At the time the 1/1 car was made, it could be accurately said that the Japanese motor industry was finally emerging from its post war lethargy. A time when the vast majority of Japanese manufacturers bread and butter were 800 c.c. two door sardine cans. Not only that, the direct translation of the name meant ‘fertile rice paddies’! 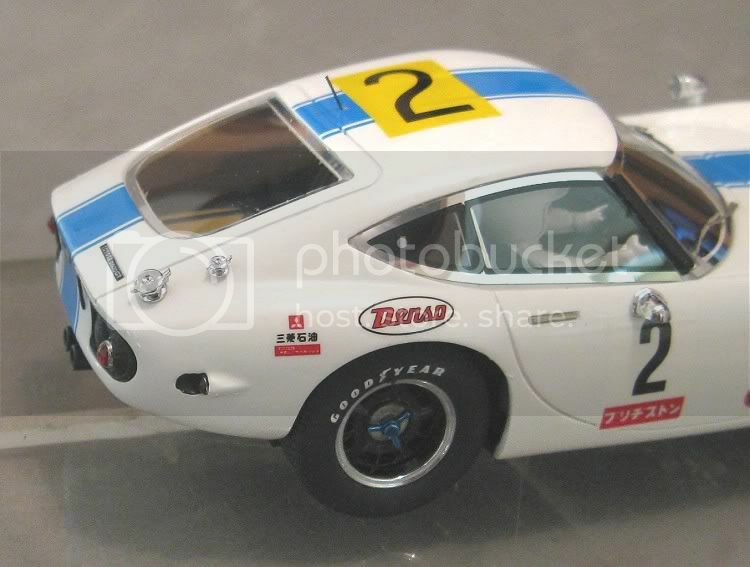 But the mid sixties were pivotal and as the Japanese manufacturers cast off the mantle of European car manufacturers who had helped to rebuild their industries, the next step had to be performance vehicles. 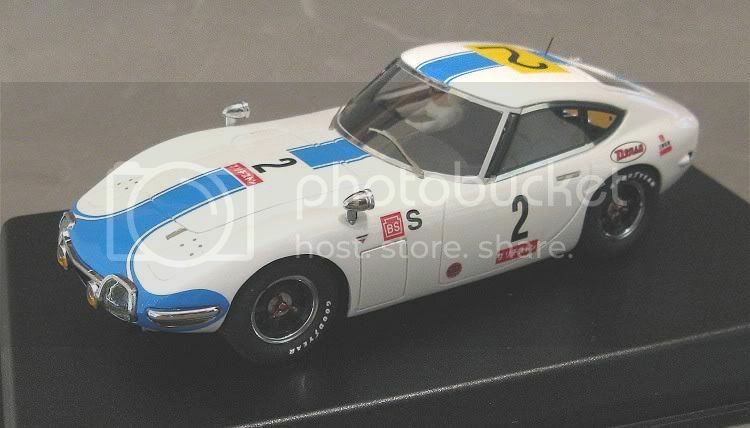 Still probably not instantly recognisable by the layman, and with a production run of about 350, it has earned the title of probably being the first collectable Japanese car!! With one recently going at auction for US$375.000!! I managed to find a movie clip of the original FIA record attempt in '67. It's in Japanese but hopefully that doesn't detract from it too much. The model is every bit as good as some of us were expecting it to be. The best feature being the superb detailing; from the front lights and grilles, right back to the filler caps and the rear and side marker lamps. The decals are crisp too, no fuzzy edges or botched applications and all of them readily readable. The clear parts are just that, and if pushed the only critical observation I would make is that the inline chassis compels the need for a half driver tray. This has fine detail of the fuel tank seen through the rear screen, but the rest is quite ordinary, even to the point of no detail for the dash. 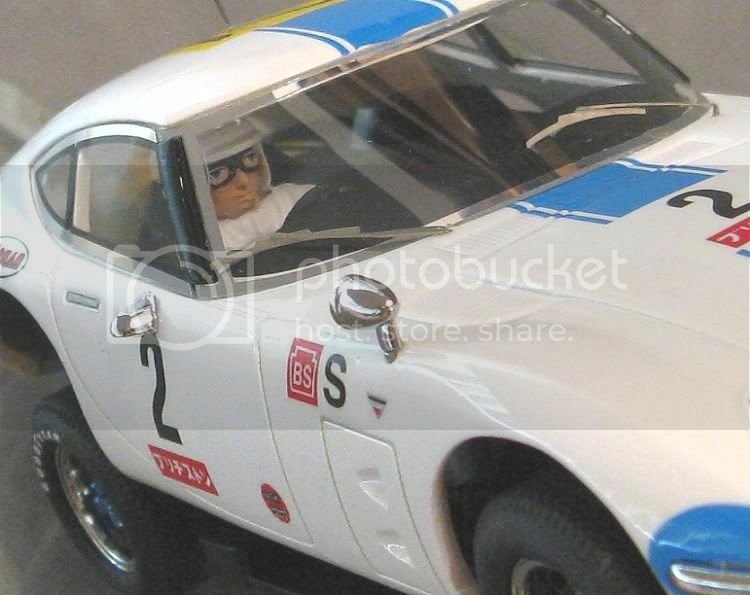 The driver (the top half, anyway) is a familiar friend from some of Racer’s more expensive models. As with the real car no doubt, they have faithfully reproduced the anodised strips that used to finish the old style glass rubbers, and these look effective. Other anodised parts are the front quarter bumpers mounted over the flasher lenses. It has a very nice front grille and surround, etched in the finest detail, and to the sides and rear there are some additional features such as the wing mirrors. 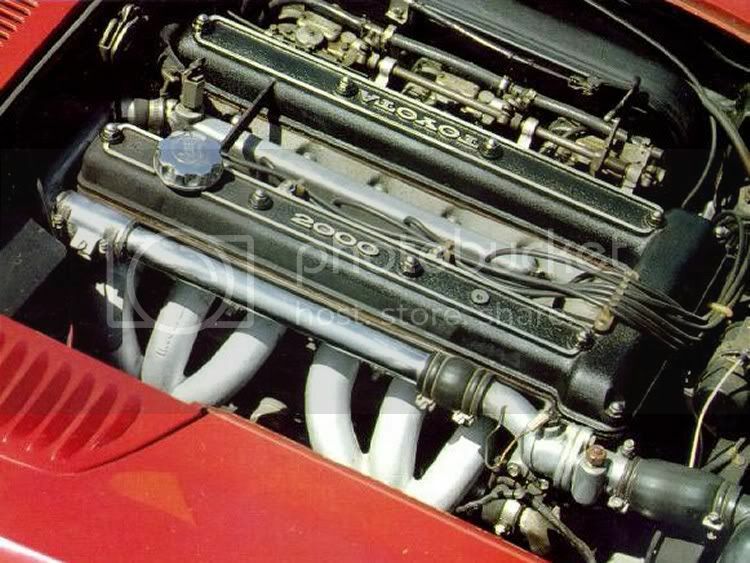 The Monza fuel caps are very tiny and very well done. Their permanency being the only unknown should the model be raced! Whether it was intentional or not, the wing mirrors are removable and seem to be held in place by some sort of non setting compound. This will allow them to be removed for track work and for tear free replacement afterwards. The wiper arms and blades are the finest of etched parts and no doubt one day we might see some rubber refills on them?? No? no matter. The whole model has a generous lacquer coat on it which makes the model shine well and no doubt will allow any scratches and marks to be polished out should they almost inevitably happen. 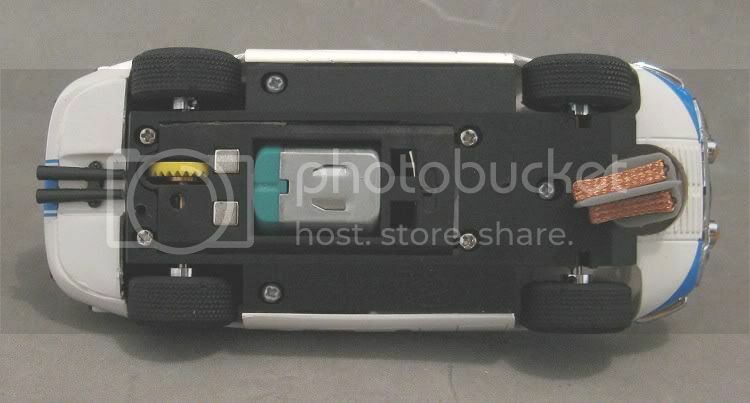 The chassis, although marked Racer looks to be a Slot.It rip off, much like the Racer range. 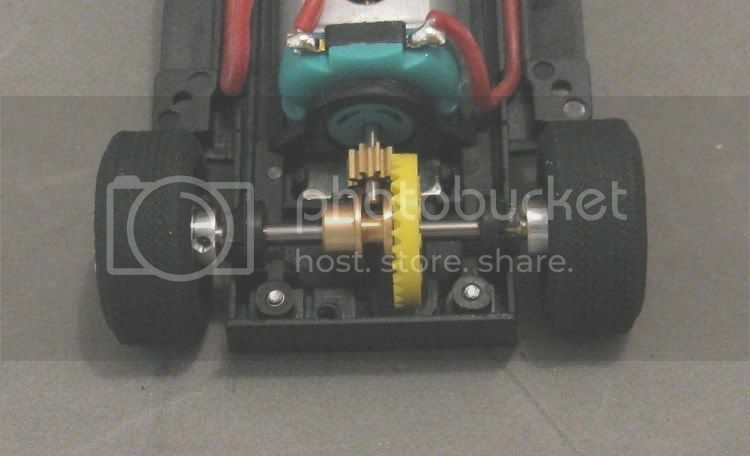 The motor is the Slot.It MX 12 motor with a 9z pinion and the motor is very firm in its mount. There is no chance of it moving on the track. The guide is excellent too. Very deep and probably the firmest guide I have come across when it comes to sideplay and endplay. It beggars belief that other manufacturers can’t achieve this kind of fit? 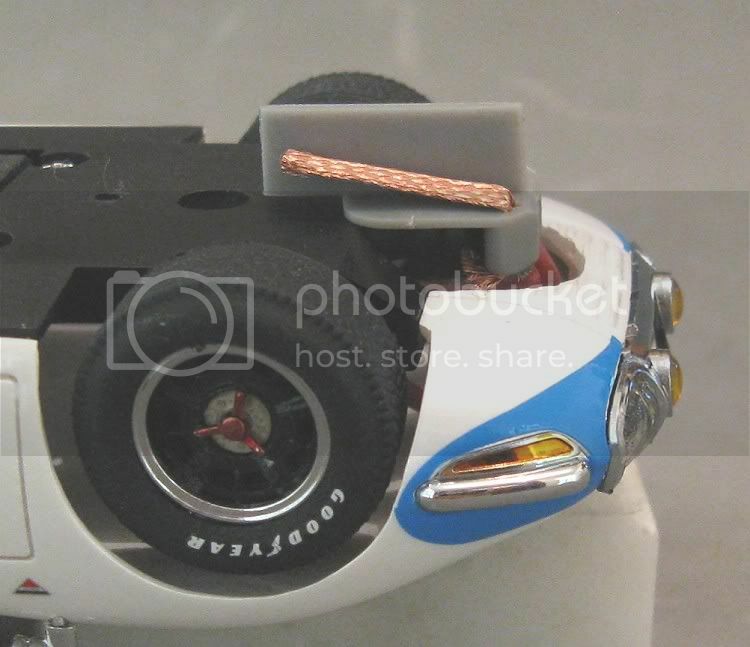 The traction magnet is also reminiscent of Slot.It magnets in style and with the standard tyres it generates a modicum of downforce on Scalextric track. 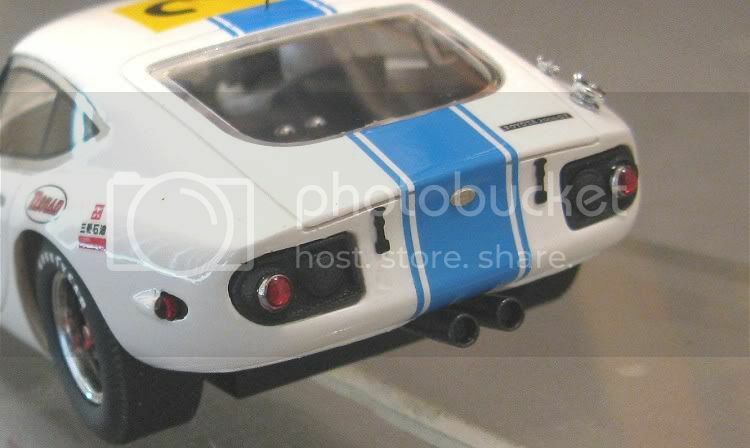 But don’t get too cocky, the height of the chassis above the track dictates that it wont be a Nissan 390 or a McLaren F1!! I would go so far as to say its more glorious moments may well be celebrated on non magnet tracks, especially board! Wheels, my favourites, are excellent. Although the wheels are grub screwed alloy, the wheel detail is an insert, even the exposed chromed rim is part of the insert, with the tyre covering its join. 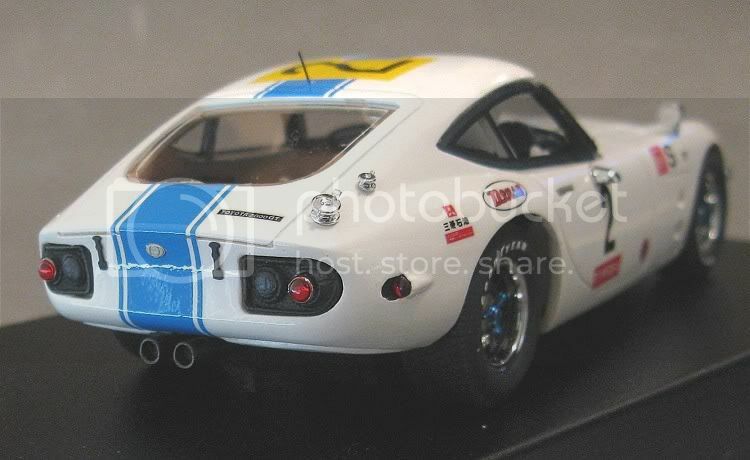 Racer have gone to great lengths to replicate accurate detail for this model and this includes the wheel detail, especially the ‘knock off’ spinners. Red on the left and green on the right. On the real car this would allow anyone changing wheels in a pit stop to instantly recognise the left hand and right hand spinners, as they would also be left and right hand thread! One word of warninh here, the logos on the tyres are decals and become detached readily if you handle them, so keep your tyre changing to a minimum. The tyres are quite soft and I can’t imagine that the diamond tread pattern will last long on the track. I can’t imagine it lasting long after its first sanding come to that! Axle bearings on the rear are the ball type which will self centre in their bearers, minimising axle drag. 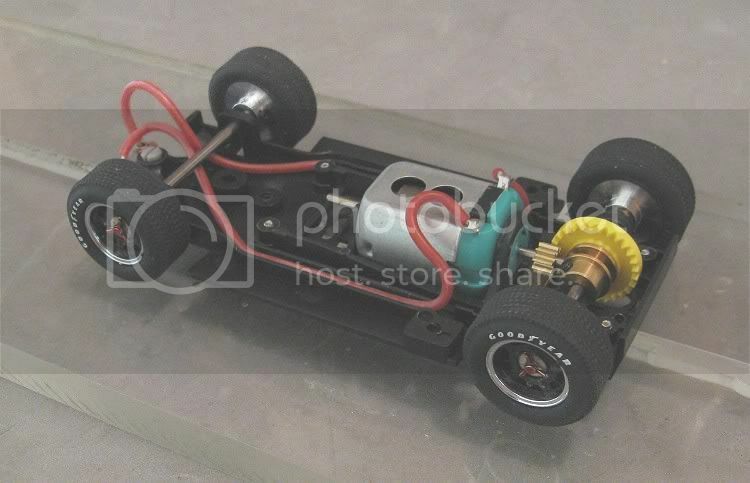 The front axle runs directly in the chassis material with no provision for adjustment, but they have allowed just enough clearance between the guide and the rails to allow the model to sit comfortably on some of the higher conductor rails like classic Scaley and SCX track. 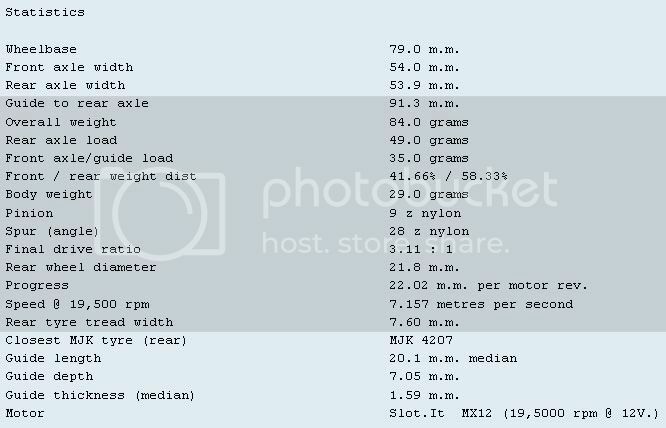 Along with the slower motor Racer have fitted a marginally higher contrate (28z) and I would fully expect this model to be tractable on most home / medium sized circuits with the slightly taller gearing helping to get it off the line. Braid and lead wire material are standard Slot.It fare and there shouldn’t be any surprises from these parts if the model were to be raced. The body is unusual in that it doesn’t come across as a resin body, yet it isn’t a typical ABS type body either. The way the three mounting points contain inserts tell me that it is some kind of resin. It is my guess that these inserts have been fitted because there is no pliancy in the body material, and to screw directly into it would see the threads strip out not too far down the road after a couple of body removals! Also, the way the rear mounts have been modelled tells me the body has been formed between two or more ‘formers’ rather than injection moulded into a complex mould. Don’t misunderstand me, that doesn’t detract from the model one iota, but it does demonstrate that Racer are taking resin moulding to the next level! 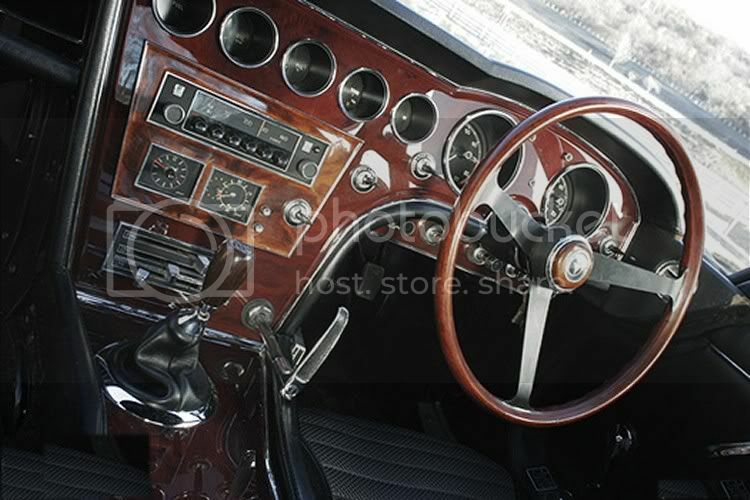 The twenty nine gram body weight, complete with trims and drivers tray, is testimony to that. For all the fine detail and shear visual pleasure of the model, there is one thing that gripes me though!!! 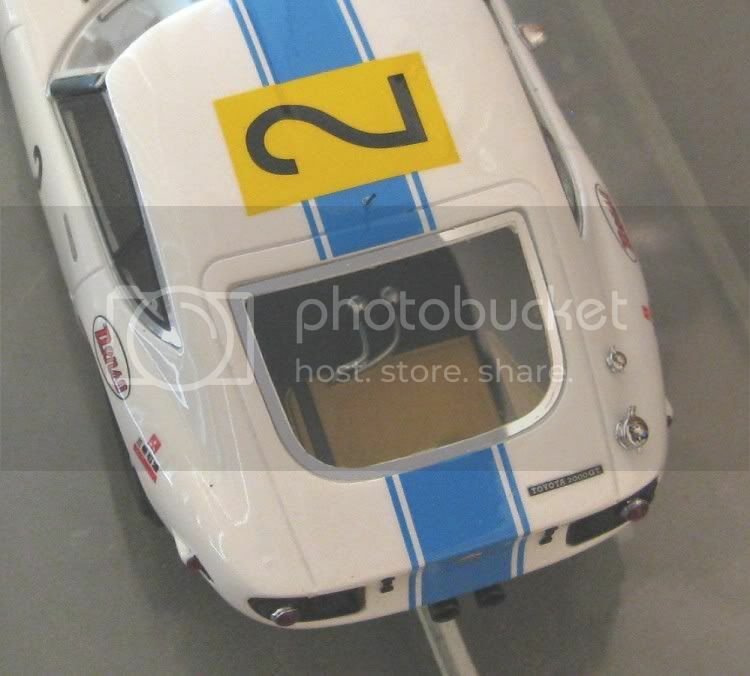 Why oh why are Racer still fixing their models to into the display cases with little more than wood screws?? Beats me!! 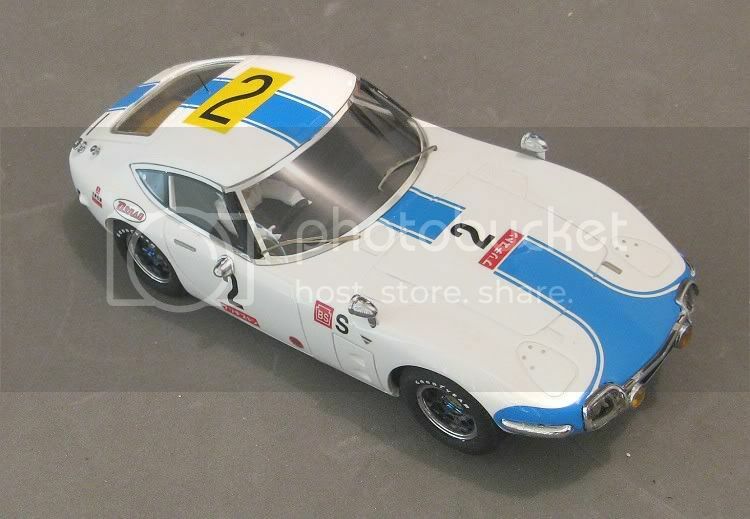 If this is a regular example of Racer’s ‘Silverline’ models to come, then we could well be on to a great thing. Yes, they are still expensive at about $135.00 landed but more and more quality models are coming in this price range and if this is the cost of quality, so be it. As for it’s track performance, unless you’ve bought one, you’ll have to wait to find out! I eventually got the opportunity to run the model on the four laner 'Eggdome' circuit (see features) . This is a painted board track surface and is quite technical but does have three or four straights to let the average driver 'open it up'! I started off tentatively feeling my way around, not knowing what to expect, but it soon became obvious that this model was more than a pretty face. I finally managed to summon up enough courage to give it some hard work seeing as it was responding very well to the throttle. I was eventually lapping at some very respectable times and the model was doing all I asked of it. Eventually the inevitable deslot came, but rather than on a fast corner, it was a roll over deslot on one of the tighter inner bends. The model has great track presence even before it starts moving, but once in motion the picture is complete. An excellent model out of the box but for competition it would need just a little extra work. The model seems happy with medium and large radius sweepers, but like a lot of models of its type era, there is just a little too much weight upstairs for the grip the tyres produce and the end result is on hard tight cornering it will roll over. But hey, this is in competition mode. Glen, Paul and I all did some hot laps with it and I'm sure the guys would agree that it wouldn't take much to make it a contender in its class.......if you dare! !